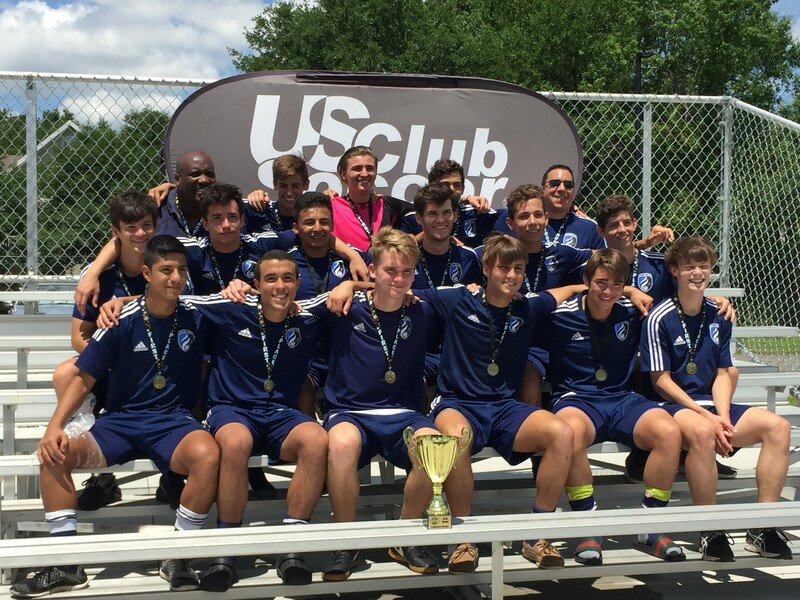 The West Florida Flames 99 Boys Elite Brandon soccer team captured the Florida Cup Title to earn the right to represent soccer clubs in Florida at the 2017 US Club Soccer National Cup XVI, to be held in Westfield, IN July 21-24, 2017. The Flames faced the number one ranked team in the country, FC Florida Prep from Jupiter, Florida in the Florida Cup finals on May 14, 2017. These teams had met once prior this season, with FC Florida Prep winning a tight, 1-0 game, and this match was no different. The Flames scored first in the 36th minute and it took until the 74th minute for FC Florida to tie the game. In the final 10 minutes of regulation, the Flames mounted a steady attack on FC Florida defense, wearing them down and scoring the winning goal in the final minute of the game. The Flames had a very successful season. They began the season ranked 112th in the Nation, but wins at the Disney Showcase, NCAA College Cup Showcase and CASL Showcase fueled a steady climb up the rankings. After defeating FC Florida Prep, the Flames are currently ranked 5th in the nation. The team is comprised of top players from five Tampa Bay counties: Hillsborough, Pinellas, Pasco, Manatee and Sarasota. The Flames are currently fundraising for their trip to Nationals, for donation information please contact wff99elite@gmail.com.